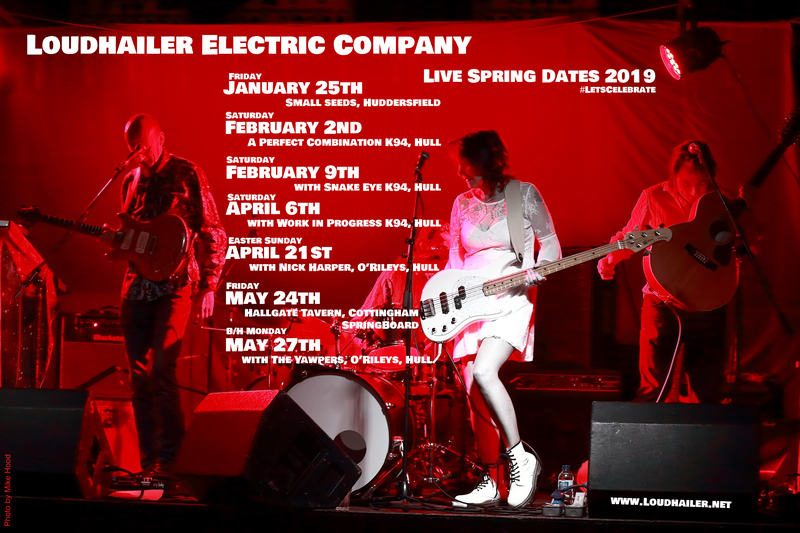 Loudhailer Electric Company – original psychedelic sounds, road songs, myths & legends, sci fi, new set, party time! Click on the poster to see the full info. Thanks to everyone who came to celebrate with us, we had a blast! We gig either as a full electric band, Loudhailer Electric Company, or as an acoustic duo, Rich & Lou’s Loudhailer, so keep an eye on our Facebook Pages Loudhailer Electric Company and Rich and Lou’s Loudhailer or Blog for latest gig news. Contact here to book either Loudhailer Electric Company or Rich & Lou’s Loudhailer.